A fine classic movie. 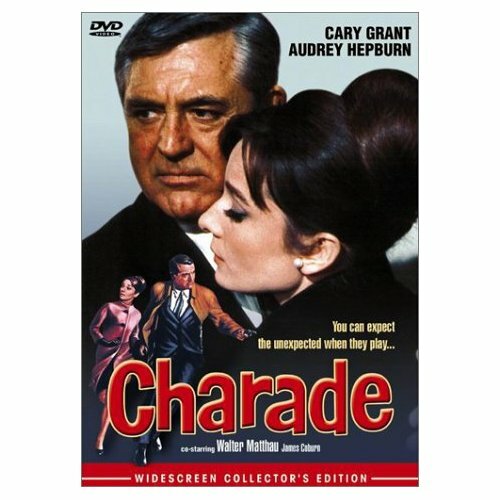 Audrey Hepburn stars as Reggie Lampert. While she is vacationing with her best friend her husband, Charles, is murdered and thrown off a train. She arrives back in Paris, ready to divorce him, when she learns what happened to him and much more. She is called into the American embassy where she is told by Mr Bartholomew that her husband sold all their belongings for $250,000 and that he was killed for it. It seems that her husband was a former soldier who, along with 3 other men, stole the money from the government. It seems that Charles made off with the money and now the other men are looking for their share. They will stop at nothing and Reggie is in danger since the men assume she has the money. She asks Peter Joshua (played by Cary Grant), a man she met on holiday and keeps running into, to help protect her. She also hits on him shamelessly even though he is old enough to be her father. They must find the money before Reggie, or anyone else, ends up dead. This was a wonderful movie. Hepburn and Grant had great chemistry. 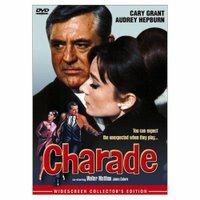 Cary Grant did not want to play a man who was chasing a woman half his age so the writers made Hepburn the aggressor and he signed on. The supporting cast, including Walter Matthau, James Colburn and George Kennedy, was also wonderful. A definite must see for all movie lovers. This film was remade three times. In 1978 as Somebody Killed Her Husband starring Farrah Fawcett and Jeff Bridges, The Truth About Charlie in 2002 starring Mark Wahlberg and Thandie Newton and in 2004 as Duplicity.